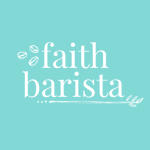 It was 5 years ago when I started my on-line business. The journey has been so rewarding and challenging at the same time. One of my favorite things along the journey has been the friendship that have been made with my customers. There are so many wonderful, creative and kind people out there! One man that I met this past year was Bill. Bill is a 91 year old man, who has lived an exciting life. He married his sweetheart when she was just 17. God blessed them with 70 years together! They raised two wonderful children, and they also spent time serving as missionaries overseas, as well as here in the states. He is a retired WW11 Navy veteran. You are probably wondering how I met Bill. Well, it seems that Bill crochets American flags, and needed some pre-cut felt stars to put on his flag. That is where Pear Creek Cottage entered the picture. Pre-cut, adhesive backed felt stars. 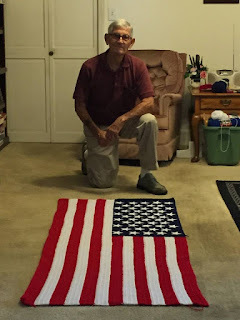 on his crocheted flag. Since I've met Bill, he has completed several of these flags and continues to make more. Thank you Bill, for letting me share part of your story. Thank you also, for the bright cheerfulness that you bring to PCC, and to me! God Bless You! These photos were taken from Bill's Facebook page.